Two 50ml split cartridges (100ml ttl.) Mixing and intraoral tips. Exceptional hydrophilicity: equal to or better than other leading brands. Outstanding dimensional accuracy for dead-on stone pours. Superb detail replication for well-fitting restorations every time. Excellent tear strength for easy removal without marginal tearing. Optimal viscosity: SHARP™ Wash naturally reduces surface tension allowing easy flow into intricate areas and capturing minute detail. 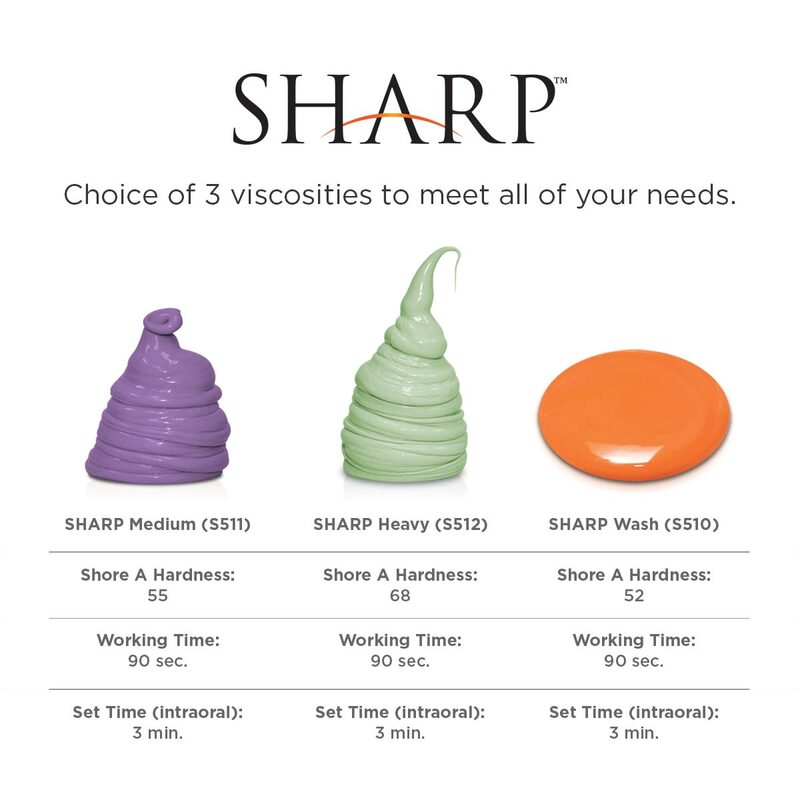 Choice of viscosities: Wash, Medium and Heavy – for all of your needs. Setting the new standard of excellence in impression-making. 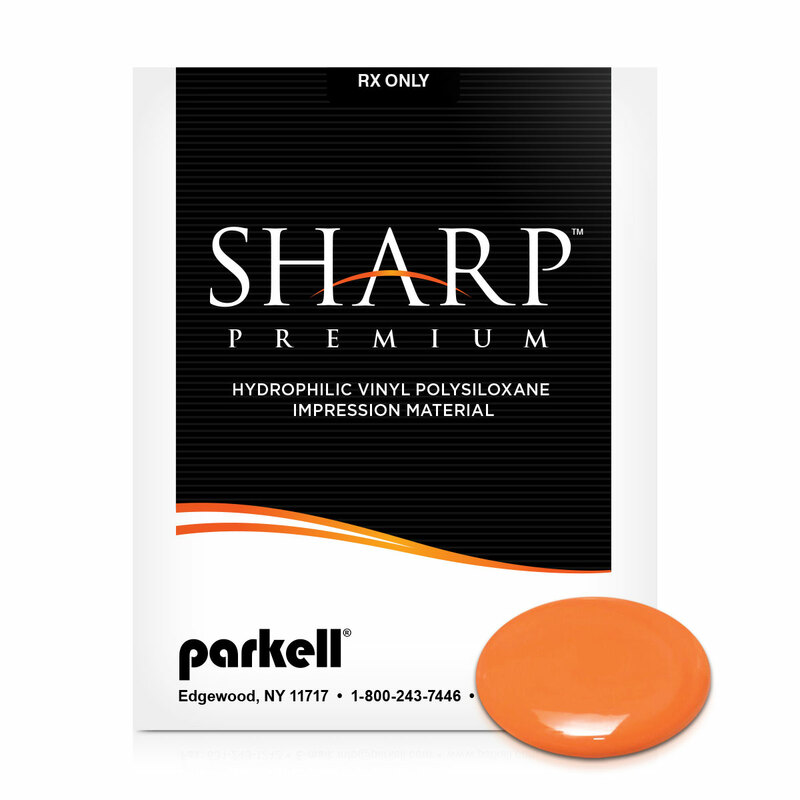 SHARP™ Addition Reaction Silicone family of impression materials feature extraordinary hydrophilic properties that result in pristine impressions. Unique, proprietary chemistry gives SHARP™ Wash material superb moisture-seeking and displacement properties that naturally reduce surface tension, allowing it to freely flow into the most difficult areas. The result is precise detail, impressive dimensional accuracy and outstanding stability. SHARP™ Medium and Heavy tray materials provide excellent compression/hydraulics for SHARP Wash to achieve optimal results. SHARP Medium won’t displace soft tissue under pressure, making it the best choice for denture relines and edentulous impressions. 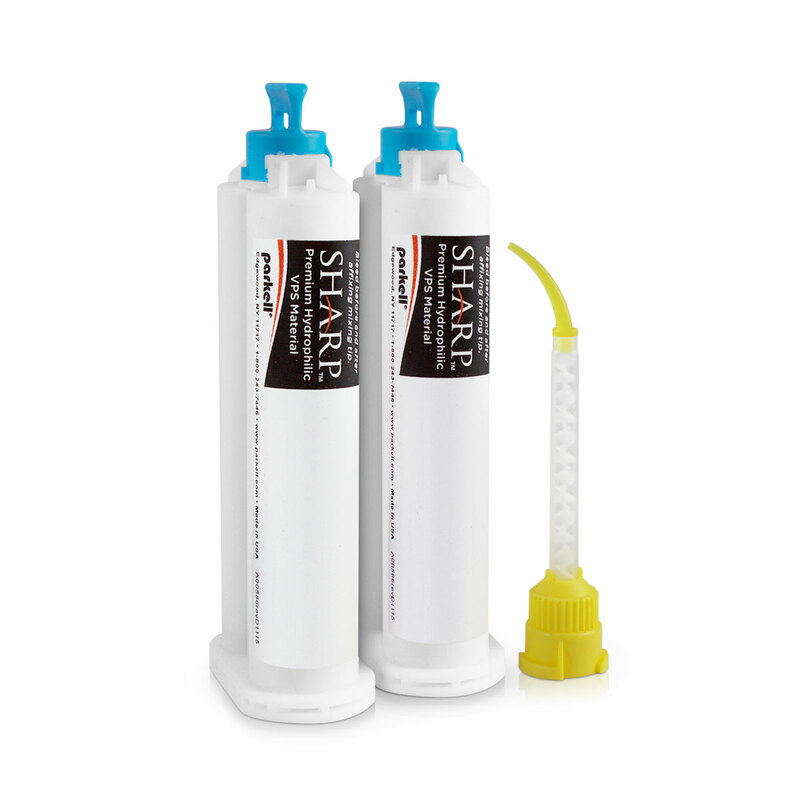 SHARP Wash (S510): Shore A Hardness: 52, Work time: 90 sec., Set time (intraoral): 3 min. SHARP Medium (S511): Shore A Hardness: 55, Work time: 90 sec., Set time (intraoral): 3 min. SHARP Heavy (S512): Shore A Hardness: 68, Work time: 90 sec., Set time (intraoral): 3 min.